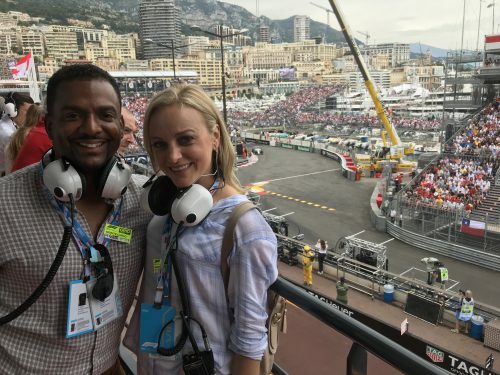 When your Formula One racing-fanatic husband gets invited to check-off one of his bucket list items by attending the Monaco Grand Prix, you try to do everything in your power to make it happen. It was a rather last-minute trip, but considering it was perhaps the most prestigious Formula One race of the year and the first time in 15+ years my hubby would be able to attend a race, we tweaked our schedule to make it work. Below are some of our favorite highlights and places from each city. 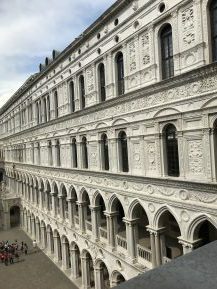 My husband LOVED Venice and the only thing he was upset about was not being able to stay longer. 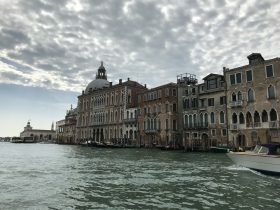 We stayed at the most amazing hotel, The Gritti Palace. 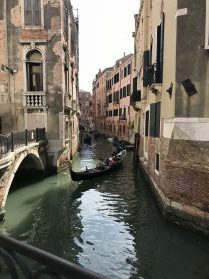 The hotel restaurant they have out front was one of our favorite experiences…to be able to enjoy amazing Italian food and relax watching all the boats and gondolas pass by was almost fairytale-like. 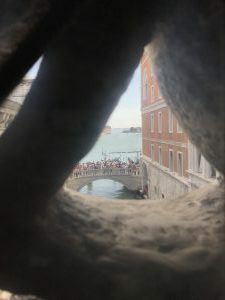 The view from the Bridge of Sighs. Tips: If you don’t have the time to linger and get lost (as you most certainly will without a guide considering your GPS will have issues working well here), be sure to hire a tour guide as it saves much time and is an incredibly efficient way to see a lot in a short period of time. Don’t shy away from the hole-in-the-wall restaurants…we found some that were absolutely phenomenal! 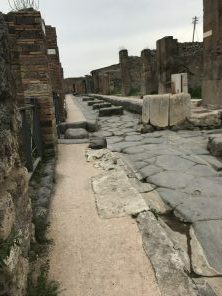 ROME: We intentionally didn’t stay long in Rome as I’ve been there numerous times in the past and knew I could pack into a couple of days what my husband would find most interesting. 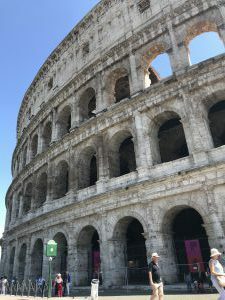 We took a private tour of the Colosseum, Roman Forum and Palatine Hill, which in my opinion, are the most historically fascinating and impressive places in Rome, in addition to the Vatican. 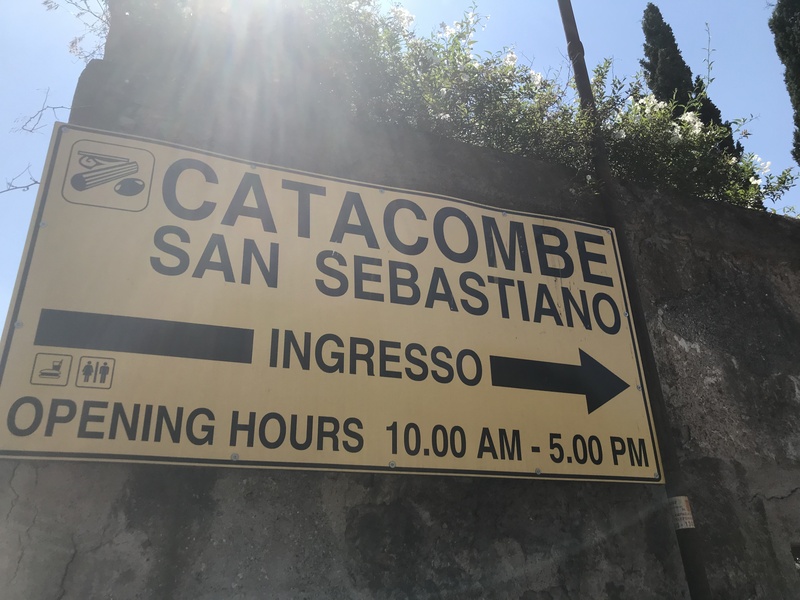 We also visited the St. Sebastian Catacombs. We stayed at the beautiful hotel, Hassler Roma, which is situated at the top of the Spanish steps in Rome’s historic downtown. The hotel is beautifully decorated and the service is exceptional. 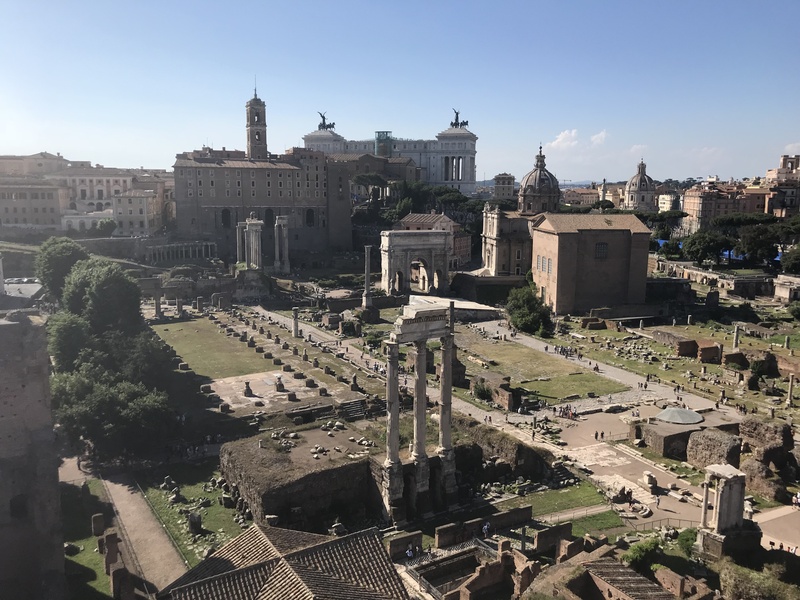 The view from the sixth floor offers an amazing panoramic view of Rome. Our favorite was the outdoor patio bar with the awesome seashell bar! On the back end of our trip, we spent a night at the Baglioni Hotel Regina which also has a prime location. It was a very different vibe from the Hassler, but we had an equally awesome experience. Our recently-renovated suite was stunning with beautiful views. The spa and bar/restaurant downstairs were also fabulous with a unique decor and great service. Must-See: Vatican City, Colosseum (the largest amphitheater in the world and over 2,000 years old), Roman Forum & Palatine Hill (which is next door to the Colosseum…also, your ticket from the Colosseum is good for entry here as long as you go on the same day), Trevi Fountain (the largest Baroque fountain in the world), Spanish Steps (made popular in the 1953 film Roman Holiday starring Audrey Hepburn), and I personally love the history of the St. Sebastian Catacombs. MONACO. I have so many wonderful memories from Monaco during my 20s when I used to visit there for work. 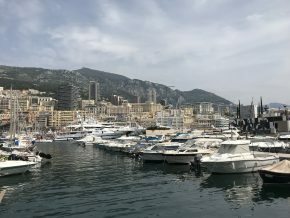 To experience Monte Carlo at anytime is amazing, but to experience it when the Grand Prix is in town is unlike anything else. It’s true to it’s reputation…loads of celebrities, sports stars, and wealthy Europeans (predominately) dressed to the nine watching the impressive Formula cars race past on the streets of Monte Carlo in front of the sensational yacht-lined harbor. Simply, it’s spectacular. Harbor at Monte Carlo, Monaco. We were fortunate to be hosted by one of the race teams, Force India, who gave us a tour of their garage and cars, and wined and dined us in their paddock (hospitality suite). They treated us to some of the best seats in the house as we were able to spectate the race from a balcony lounge above their garage. This enabled us to not only have great views of the race, but to be blown away by watching from directly overhead as the cars came in for their crazy three-second tire changes. My husband was like a little kid in a candy store. His main highlights were meeting his favorite F1 driver, Lewis Hamilton, and being able to walk through the grid before the race began. It was an incredible experience and we are so appreciative to both Force India and Will Buxton. On the grid at the Monaco Grand Prix. Positano (Amalfi Coast). 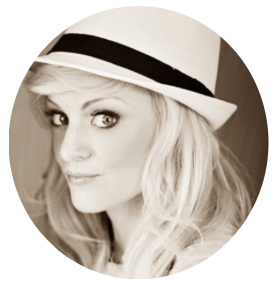 We had asked friends who had visited Positano for their hotel recommendations beforehand. Everyone raved about Le Sirenuse. 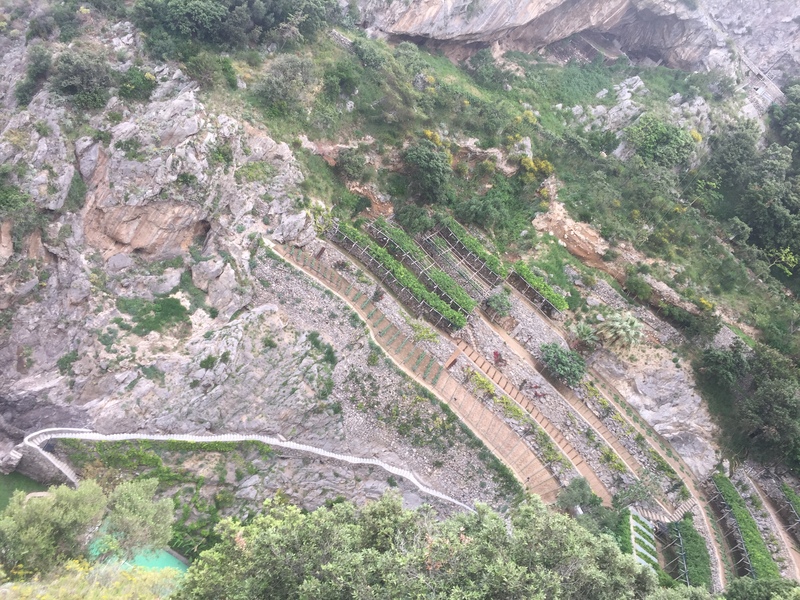 It was only available two of the days we would be in the Amalfi Coast. Thus, I turned to Tripadvisor to assist me with an additional option. 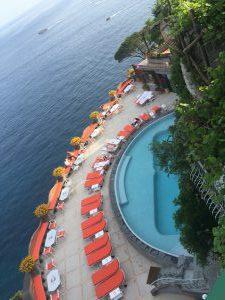 Fortunately, I found a great hotel called Il San Pietro de Positano. 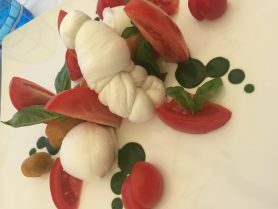 It is a true gem on the edge of Positano just outside of town. The restaurant, service, rooms, and views are the BEST, hands down! If you want to be in town and in the middle of everything, Le Sirenuse is a good option. That hotel is also lovely with a great restaurant and killer views. 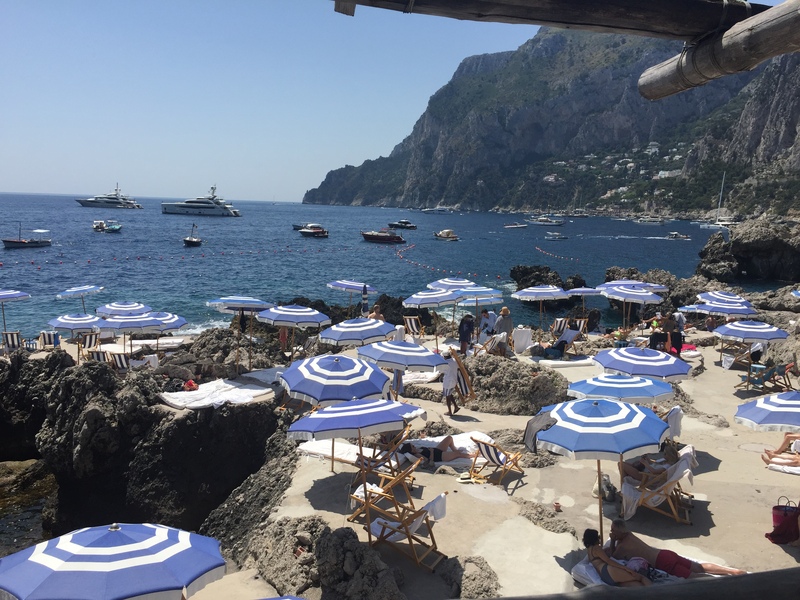 However, we wanted to be away from the crowds, so for us, Il San Pietro di Positano was our preferred spot, and a place we will for sure be visiting again. (We are seriously obsessed with this place.) Aside from our hotel, our favorite experience was renting a boat and cruising along the coast and to Capri. 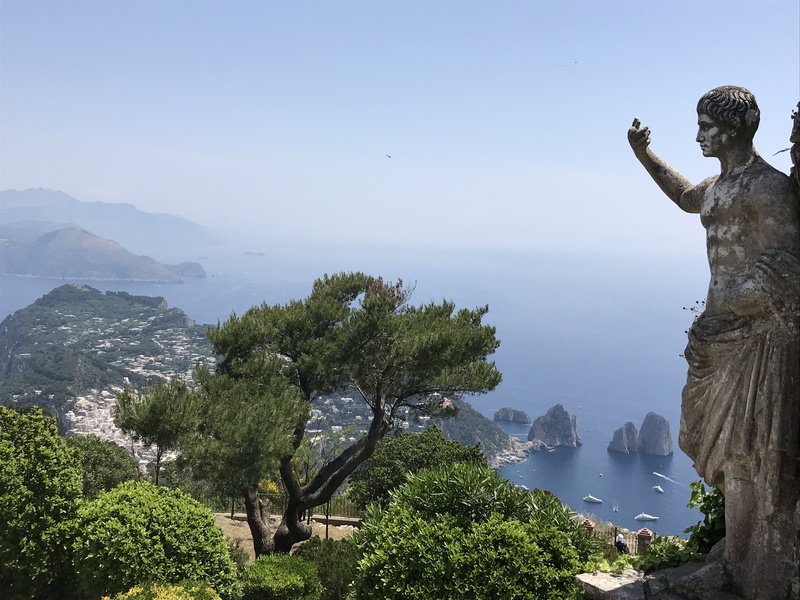 We visited the Blue Lagoon, a restaurant where you can only reach by boat, and went up to Anacapri, where we took the chairlift up to some amazing panoramic views. 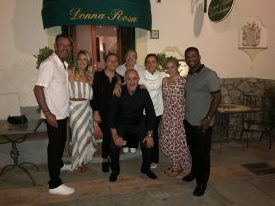 As for food, other than the hotel restaurant at San Pietro, Donna Rosa was truly awesome! We went there with some friends we made at our hotel and had an absolute blast! Must-See: A minimum three-hour visit to Pompeii, an afternoon to Ravello for lunch to enjoy the amazing views, downtown Positano and their fabulous shops, Capri and Anacapri, boat ride along the coast (be sure to check out where they hold the Red Bull High Diving Championships), and walk around to find one of the many homemade sandal shops to have your custom sandals made. The nice thing about Italy is that no matter where you are what you do, you can never go wrong. I must say, however, that the Amalfi Coast is the most charming and romantic place I’ve ever before experienced. The views, the food, the atmosphere, the wine, the people…it’s all incredible. A true romantic paradise. On our balcony at Le Sirenuse overlooking the town of Positano. 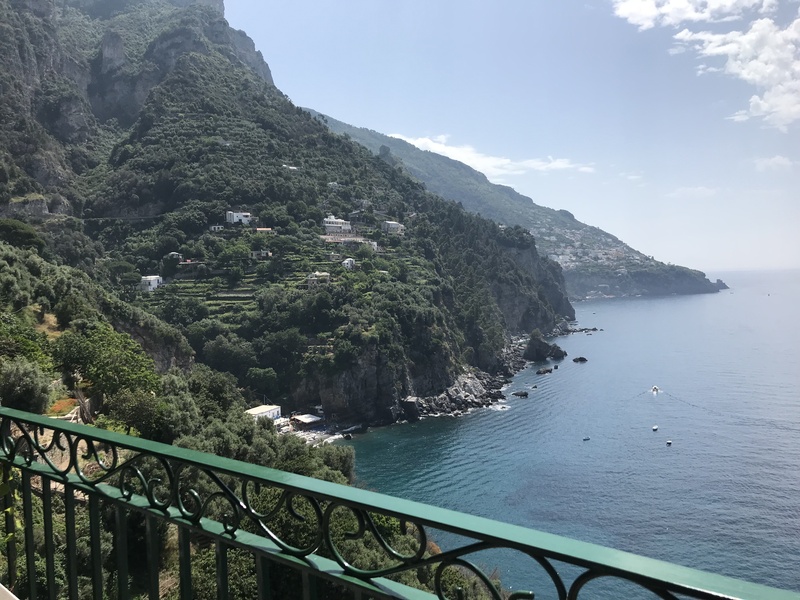 From our balcony at Il San Pietro di Positano.